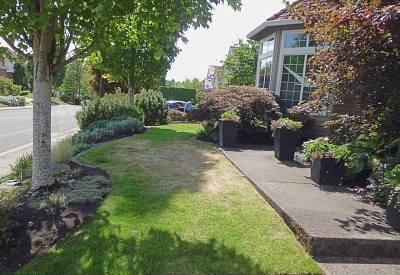 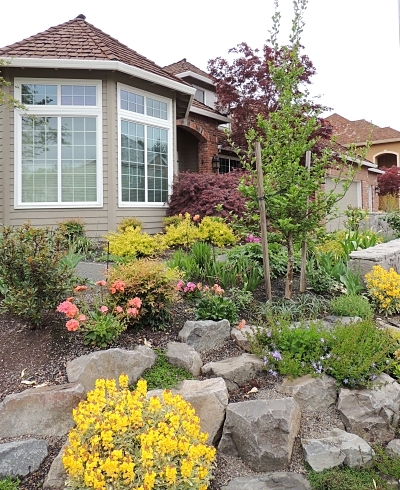 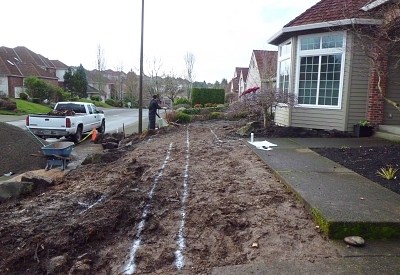 These Cedar Mill homeowners wanted a more vibrant front yard with year-round interest and structure. 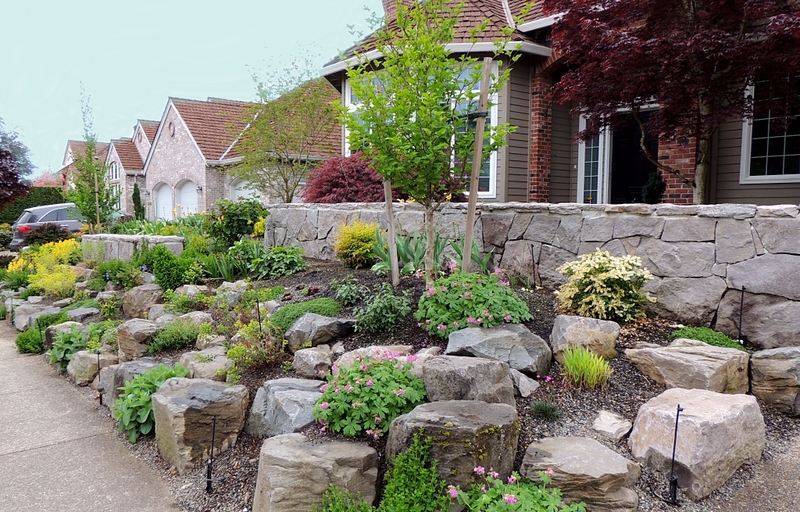 This was achieved through the removal of two oversized red maples, replacing them with more garden-friendly stewartias. 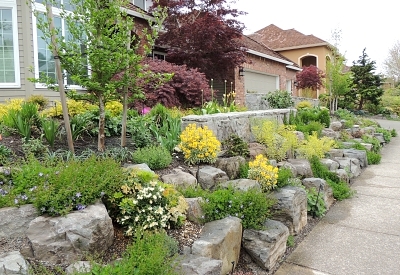 The front slope, with its relaxed retention structure, gives more interest and provides multiple planting pockets. 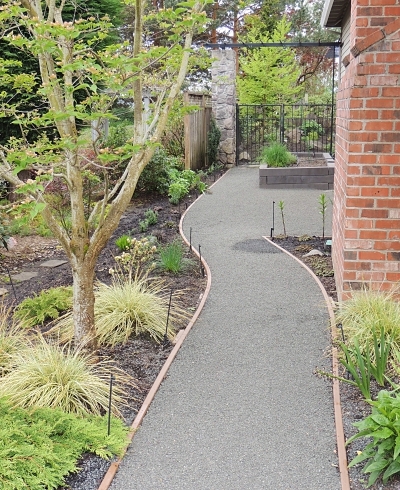 Two short walls shield a direct view of the entry door from the sidewalk and create a more defined, intimate welcoming entry space. 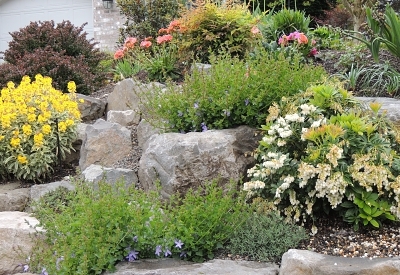 Plants and flowering bulbs were deliberately chosen for all-season color and texture.